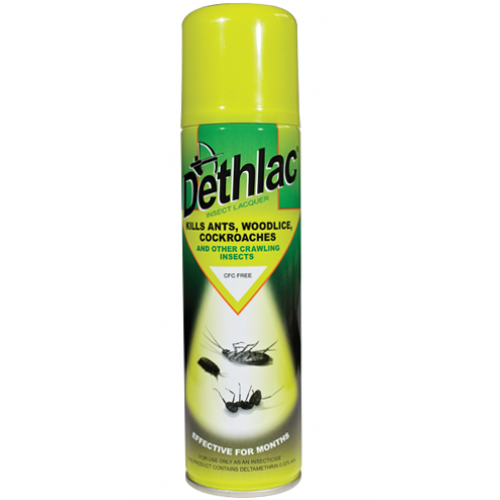 Dethlac Insect Lacquer kills ants, cockroaches, woodlice, and other crawling insects, for both indoor and outdoor use. 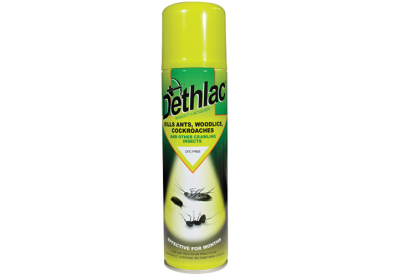 Dethlac has been eliminating insects effectively since 1959. Dethlac dries to a hard clear film which kills insects within a few hours of coming into contact with treated surface. One application remains fully effective for months, even when it rains. You can wash the surface (with or without detergents) and Dethlac will go on killing insects.